The Stirling Prize shortlisted building, Storey’s Field Centre & Eddington Nursery, will be open for tours by the architects MUMA as part of Open Cambridge 2018. Over 25 different events showcasing Eddington, Cambridge’s new district in the City, will make up Open Eddington exploring the ethos of architecture and sustainability which sit at the heart of the development. This year’s Open Cambridge weekend will once again showcase Cambridge’s new district, Eddington. The day includes over 25 different events led by the renowned architects, professionals, and development partners who have all contributed to creating Eddington, including architects, MUMA, who designed the RIBA award-winning building, the Storey’s Field Centre and Eddington Nursery. 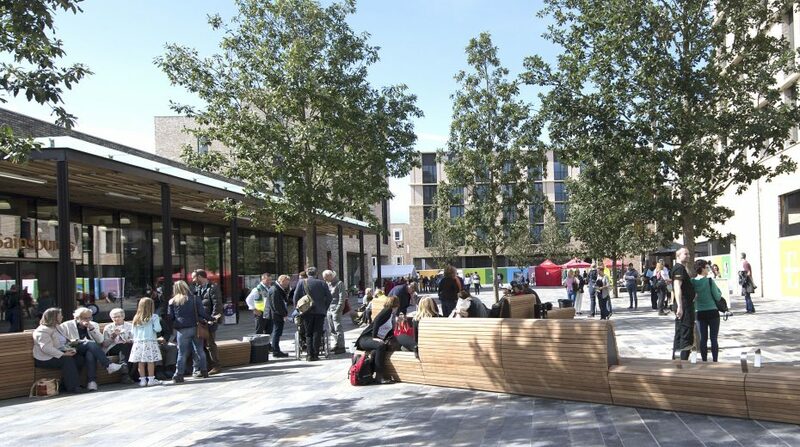 Eddington is the heart of this new district developed by the University of Cambridge, which has been known as the North West Cambridge Development, and is located between Madingley Road, Huntingdon Road and the M11. There is currently a population of approximately 700 people and when the development is complete it will be home to a community of 8,500 people. Innovative and unique infrastructure has been integrated across Eddington to help residents lead more sustainable lives. 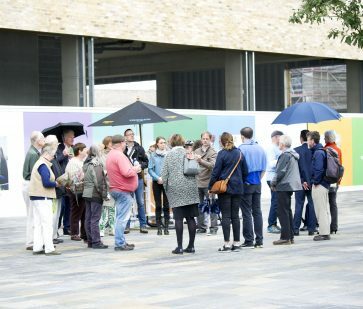 At Open Eddington, there will be a range of events that explain how these various features work. Visitors can go behind the scenes of the energy centre, see the unique underground waste and recycling system in action, learn about the rainwater harvesting scheme, or go on a walking tour with our project ecologist. Any or all of these events will open your minds to how sustainability has been considered in planning for the community. Eddington has been designed by some of the best local, national and international architectural practices. Talks and walking tours will be given by Jonathan Rose from AECOM who developed the award-winning masterplan, as well as the principals from the architects who have worked on the scheme including: WilkinsonEyre, Mole, Stanton Williams, Mecanoo, R H Partnership, Marks Barfield, MUMA and Pollard Thomas Edwards. People can get involved with an archaeological dig with Cambridge Archaeological Unit or enjoy a tea party in the Public Art by the lakes, or generate the energy required to blend your own smoothie using pedal power. Cycle tours, guided tours from Visit Cambridge and Beyond, and self-guided walking tours will also be available as part of Open Eddington. The Universal Bus will be operating a free service on Saturday 15 September as part of Open Eddington. On Saturdays the service runs from the railway station to Eddington via the city centre. For more information visit the website. 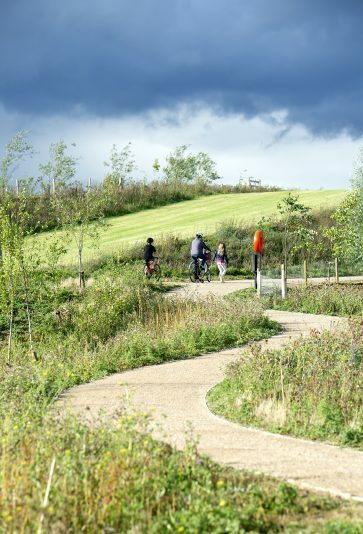 Eddington is a ten-minute cycle journey from central Cambridge. There will be cycle tours available and downloadable maps for journey planning. Now celebrating its 11th year, Open Cambridge, co-ordinated by the University of Cambridge Public Engagement team, showcases a diverse range of hidden architectural gems and stunning spaces that are normally closed to the public or charge. The Open Cambridge weekend takes place on 14-15 September, and bookings open at 11am on 13 August. For details visit the website or call 01223 766766. All events listed as part of Open Eddington are free.